Love Canada? Love woodland jewelry? 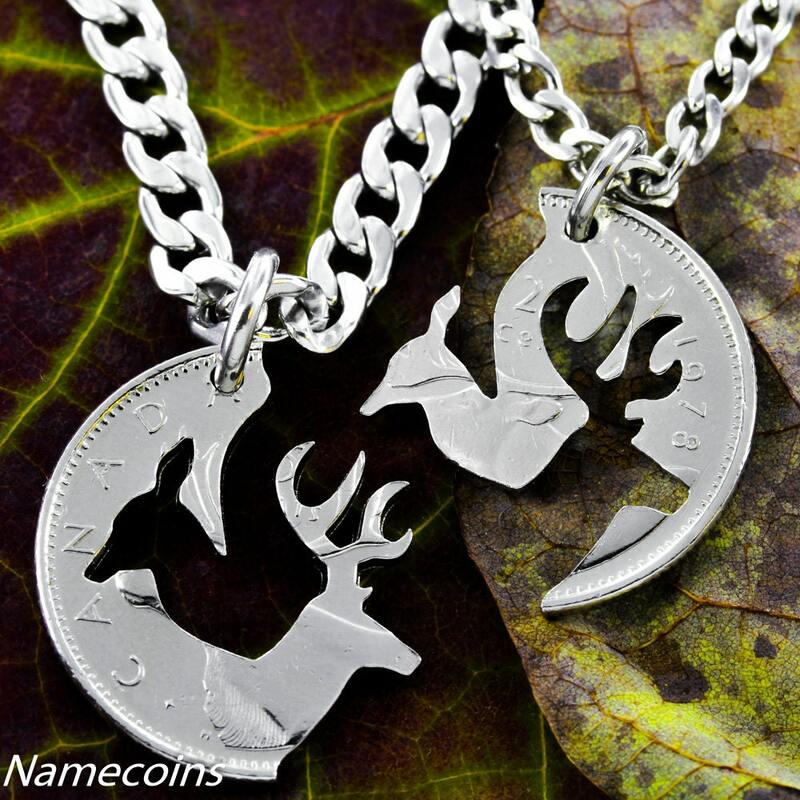 Our Buck and Doe is perfect for you. A hand cut interlocking symbol of love. 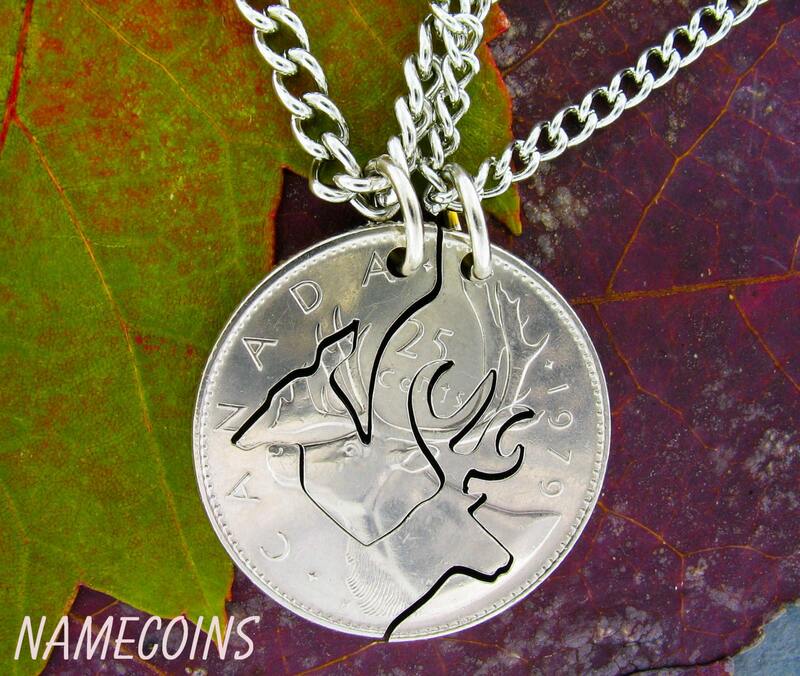 From a Canadian quarter we can make the most memorable gift just for you. Notice, please that 'Modern Quarter' refers to the quarter from the United States of America, and 'Canadian Quarter' refers to what is shown in the picture :) Happy Shopping! Also, Etsy message us for any custom ideas you might want. Send us a picture and we can tell you if it is possible. Exactly what I wanted and I received it in a decent time. Such a great gift for my friend!